Mark Fenwick acquired Abbotswood in 1901, and lived there until his death in 1945. One of his many generous benefactions to the village of Lower Swell was an offer, made in 1911, to build and provide for use of the villagers a Reading Room. The new building was erected in 1912. 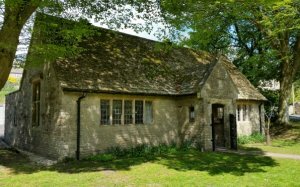 It was not greatly used as a reading room and in November 1939 Mr. Fenwick conveyed the Reading Room, and the piece of land on which it stands, to the Parish Council as trustees of a trust for the preservation and maintenance of the Hall as a Village Hall. The Village Hall was to be used "for the purpose of physical mental training recreation social and intellectual development for the benefit of the inhabitants of the Ecclesiastical Parish of Lower Swell"
The Hall has continued to be used for the purposes declared in the Trust up to the present day and we are proud to continue its tradition.